Announcing! 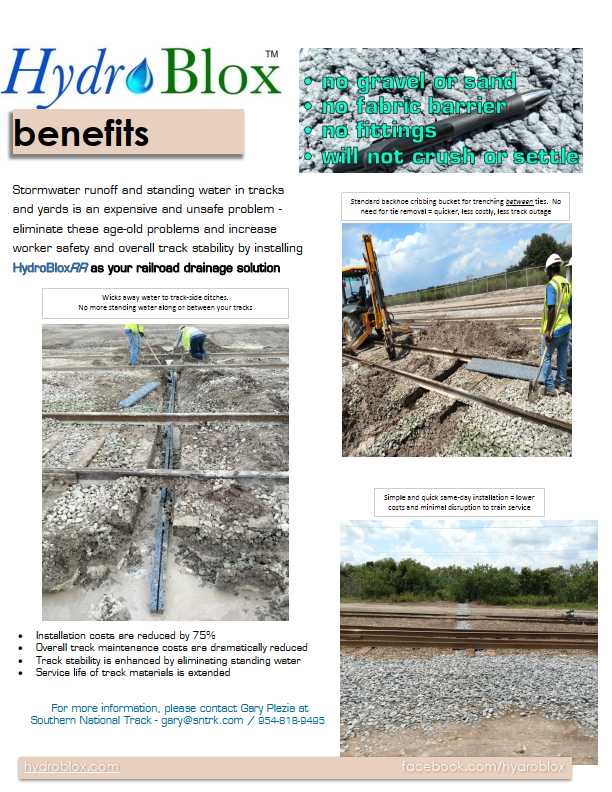 New Railroad Drainage Technology. 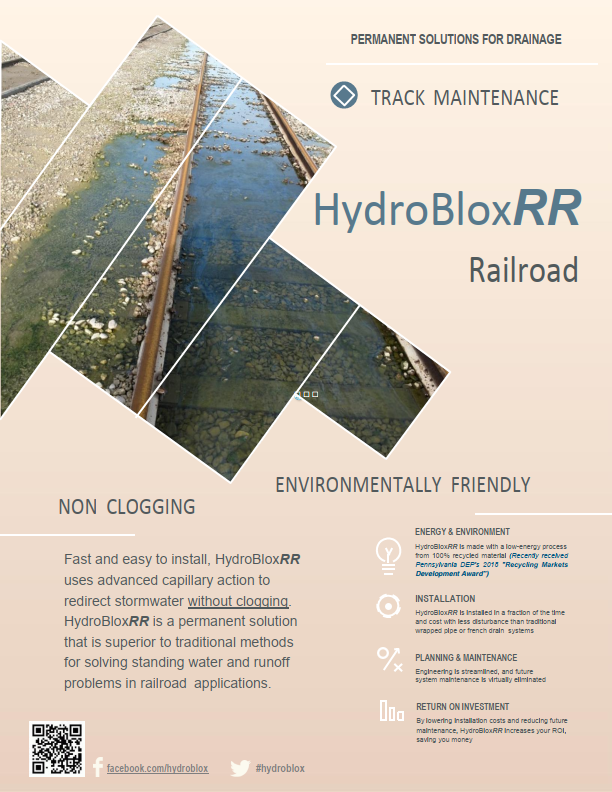 Southern National Track is proud to represent HydroBloxTMRR, the new railroad drainage technology. Contact us today for more information!